An Amazing Story about Handel! Do you sometimes feel discouraged as a musician or composer? Do you perhaps feel that no one really wants to hear your “stuff”, but it is just an uphill battle to get something noticed, let alone published? Of course, this could apply to other areas of life, as well, not just in the musical realm, but musicians are notoriously “melancholy” in temperament (look it up if you are not familar with this word!) and can be on the proverbial “Cloud 9” one day and down in the dumps, lower than the ground, the next! Often their moods depend on external situations, for they tend to overemphasize the negative in a given situation. In the music realm (because this blog is primarily about music matters), it is true that countless great, talented musicians go largely unnoticed while seemingly less-talented people “make it” in the music scene because they were “discovered” byt the right person or label. Sometimes this can be disheartening. I have a friend in Texas who is a very successful writer of contemporary praise and worship songs. If I mentioned his name, you would no doubt be familiar with his songs, which are sung all over the world in most churches. However, there was a time when he was a “nobody” and a worship leader at a small church close to where I lived. He had written a song that got “picked up” by one of the hottest contemporary singers on the planet; a well-known publisher of praise and worship songs took notice, and the rest is history! Now everything he writes turns to “gold” in the business, as they say. Were his previous songs not any good? Did this mean he was a better writer than many, many other Christian songwriters? Or, was it, perhaps, God’s time for his ministry to come forth? As he and I talked, we both agreed that was the case! God has a timing for each musician to come forth and fulfill the destiny He has planned for them…if we will be patient! Now here is an amazing story that I’ll bet you didn’t know; it’s about the great composer George Frederick Handel, who wrote the music to Messiah which debuted in Dublin, Ireland in 1742. Just a few years ago a unique video of mall “shoppers” (who were really musicians planted in the crowd) singing this wonderful oratorio’s (a sacred opera) signature piece, “The Hallelujah Chorus”, went viral and has now been seen by nearly 50 million people around the world! I am sure you are familiar with the Messiah because at Christmas it is presented countless times in locations worldwide. What you probably didn’t know is “the rest of the story” about Handel, an amazing example of God’s love and timing! Born in Germany in 1685, he always had an aptitude for music. Although his father wanted him to study law, he was more interested in music. His mother bought him a harpsichord which they secretly kept in the attic away from his father. Handel wrote his first work at the age of twelve and studied music at the University of Halle in his hometown in Germany. In 1712 he moved to England where he experienced some success with his various compositions, including operas, concertos and other instrumental works, but ultimately was faced with financial failure which threatened to overwhelm him. His occasional commercial successes soon met with financial disaster and as he drove himself relentlessly to recover from one failure after another, his health also began to fail. By 1741 he was swimming in debt and it seemed certain he would land in debtors’ prison. But, God had not forgotten George Frederick Handel! That same year became the turning point for him when his close friend, Charles Jennens, gave him a libretto (a text) for a sacred work. It was exclusively 73 Bible verses focusing on the prophecies concerning the foretelling and coming of the Messiah, Jesus Christ, both from the Old and New Testaments. A charity in Dublin, called the Foundling Hospital, which was an institution caring for newborn infants abandoned by their unknown, poverty-stricken parents, who were sometimes in prison, was putting on its annual benefit, and paid him to write something for the performance. For 24 days, in August and September of 1741, Handel barely ate as he worked almost constantly composing this beautiful work we know as Messiah! In fact, he told a friend he could barely keep up with the notation as the melodies and ideas flowed from within, directly from God Himself! At one point, the composer had tears in his eyes and cried out to his servant, “I did think I did see all Heaven before me, and the great God Himself!” He had just finished writing the “Hallelujah” chorus. Every word was from the Bible, 42 verses from the Old Testament and 31 from the New Testament. Finally, the day Handel had waited for arrived and Messiah was first performed in Dublin on April 13, 1742! It was very successful, the proceeds of which, it is said, freed 142 men from debtors’ prison! 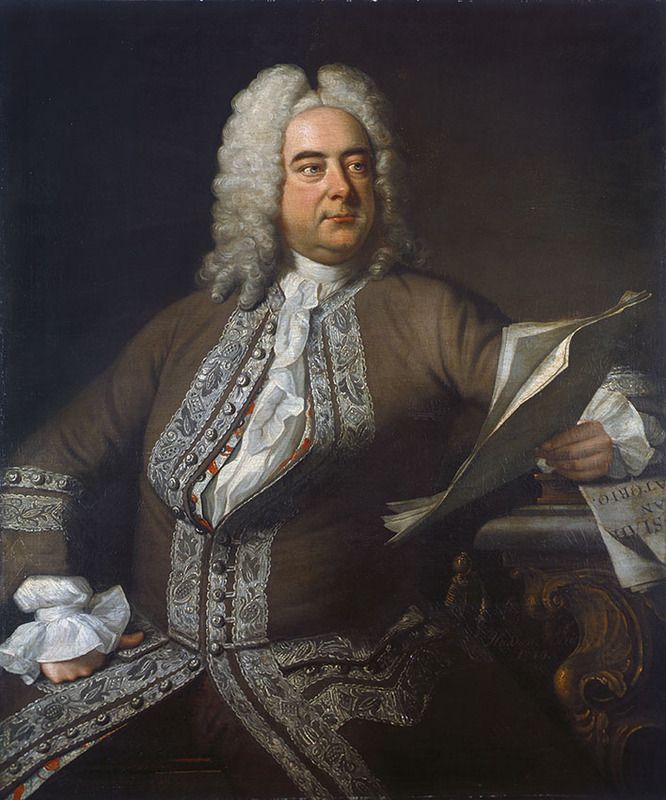 The Foundling Hospital became Handel’s favorite charity, to which he gave liberally, up until his death in 1759. He is today still revered as one of the greatest composers to ever live and is buried in Westminster Abbey in London. So, out of this genius’s pain and despair, seemingly the low point of his life, came a work of beauty and praise to his Creator, the likes of which have never been surpassed! Handel could never have dreamed how this beautiful work would continue to uplift and bless millions of people the world over for centuries to come. One man put it this way: “Handel was a relentless optimist whose faith in God sustained him through every difficulty.” Remember, God has a perfect time for everything, including bringing your ministry forth at a time when He will gain the most glory! Be encouraged this day, my friend! Great story. I’d never heard it before. Very encouraging!